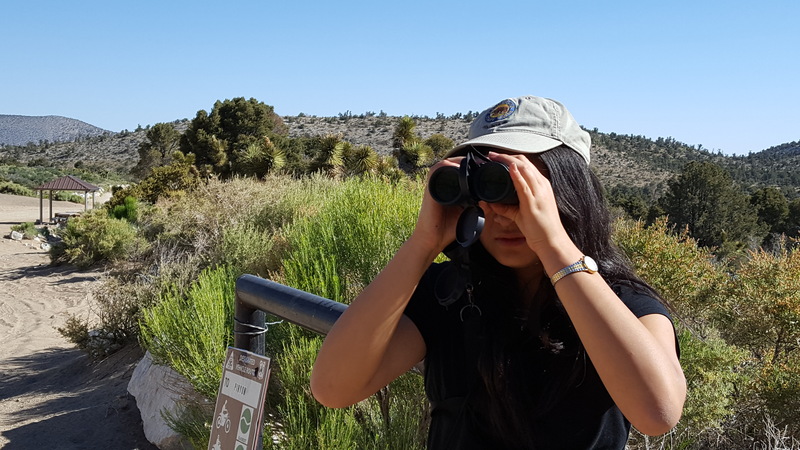 Elisa Yang, a teenage birder, couldn’t find a young birder group anywhere in California -- so she created her own. In the San Bernardino National Forest, they hunt for the Mexican Whip-poor-will, an elusive crepuscular bird. The teens don headlamps and hike down a dirt road. Perched on boulders, they listen, while little brown bats swoop over them. Then, right in front of them, a whip-poor-will dives down and snatches a moth. This story was produced with support from the Falconer Family of Seattle, with additional support from the Bobolink Foundation. Today we’ll meet a species rarely seen in the wild: the teenage birder. It can be really lonely when you’re a teen who’s into birds. You're most likely the only one in your school. And if you do find friends who bird, they probably live hours away. Meet Elisa Yang. She couldn’t find a young birder group anywhere in California -- so she created her own. ELISA YANG: I really wanted to do this and I thought it could be possible. I thought, there’s other young birders clubs out there, like why can’t I do this? One day I just sort of decided to, I don’t know, just get a bunch of friends together and do a field trip and hopefully it would blossom into something bigger. And that’s exactly what happened. Elisa and her friends in the California Young Birders get together every month or so. I joined them last summer for a trip to the San Bernardino National Forest. The teens are on the hunt for the Mexican Whip-poor-will. It’s an elusive bird that comes out at dusk and dawn. We grab our headlamps and hike down a rocky dirt road. The whip-poor-will dives down and snatches a moth right in front of us. And then, with a rustle of feathers, it’s gone. This is the kind of the thing that Elisa lives for. You can learn more about Elisa and her friends, in an extended podcast on our website, Bird Note Dot Org. Bird sounds recorded by Shahla Farzan.